With every passing month, the number of things we rely on the internet for grows and grows. We use it to keep in touch with our loved ones, to buy clothes, order groceries, catch up on TV shows we’ve missed, and look up sporting results. According to Statistics New Zealand, there were approximately 1.6 million home internet connections around the country in 2014. Or in other words, 90 connections for every 100 households in the country! However, a lot of those 1.6 million Kiwis are stuck with less-than-stellar internet. According to Stuff.co.nz, we rank 42nd in the world for broadband performance, with an average speed of 27.4 Mbps (Megabits per second). While this figure might seem quite high, it is skewed somewhat by the number of businesses connected to the Ultra-Fast Broadband Initiative, which will be discussed shortly. Many New Zealanders have internet speeds well below this threshold. But at least we’re better off than Australia, which sits way back in 65th place! Given the central role a reliable broadband connection has, you need to consider the following things when buying a new plan or upgrading your existing one. How fast does the connection need to be? The speed you need depends on your intended use. Generally speaking, the more people using the one connection and the more video content you expect to use, the faster a connection you need. But to perform basic functions that you’d expect your internet to do, you don’t actually need speeds to be that high. For example, if you want to watch a movie or TV show on Netflix, you only need a speed of 1.5 Mbps in order to stream in basic quality, and 5Mbps to stream in HD. If you’re an online gamer, then the general consensus is that 3Mbps is the absolute minimum speed required to play online, and speeds of 6-12Mbps will minimize that annoying lag. Simply put, you don’t need to have super high speeds to use the internet, but life will certainly be easier and less annoying if you do. The speed you choose will, in part, be determined by your choice of connection type. In metropolitan areas there are typically a wide range of options, while in rural regions your options may be more limited. Once the government’s Ultra-Fast Broadband Initiative and the Rural Broadband Initiatives are fully rolled out, 97% of New Zealanders will enjoy faster-than-current internet speeds – the initiative aims to enable downlink speeds of at least 100 Mbps and uplink speeds of at least 50 Mbps. The initiative will not be fully rolled out to people’s homes until 2022, although 60% of the UFB initiative has been completed as of this year, according to the New Zealand Minister of Communications. Pre ultra-fast broadband though, it’s a case of researching your provider options and choosing an option available in your area. How much data allowance do I need? Like speed, the amount of data you need depends on your intended use. People who live alone and only use the internet to send emails and do online banking will need only a small amount of data. On the other hand, large families who use the internet to watch videos, play games online and make online video calls will need much more. Statistics indicate that we are requiring more data than ever before! According to a Statistics New Zealand report released in October 2014, the amount of data used by Kiwis increased 18,417 terabytes in the 12 months to June 2014. Specifically, in the year ended June 2014, we used 53,068 terabytes, compared with 34,651 terabytes in June 2013. Statistics NZ calculates that this increase equates to around four million high-definition movies! This figure has continued to skyrocket since then. The latest report, which was released in October 2015, shows that Kiwis used almost 85,000 terabytes in June alone. This is a simply massive amount of data, and you can expect this figure to have increased again when the report for 2016 is released. A likely cause for these huge spikes in data consumption is the introduction of Netflix in March 2015. An estimated 260,000 Kiwis are using the popular subscription service, which in turn has brought other subscription services to people’s attention. In the month of June 2014, data usage was the equivalent of 12GB per person, and this figure increased by more than 300% to 45GB per person for June 2015. So, you need to be realistic about the volume of data you really do use! If you want to stream HD videos (like most of the country, it seems), then you will need a plan that offers large amounts of data. Common data packages include 50, 100, 200 and 500 GB of data, although many providers now offer unlimited data caps, which are usually more expensive. Check out our list of the cheapest broadband deals offered by the major providers in New Zealand to help you make your decision. How much am you willing to pay? Canstar Blue’s recent survey of 1,127 broadband customers, value for money was an important driver of satisfaction. Broadband plans can start from less than $50 a month and rise to more than $100. The price you pay will depend on the type of connection, the maximum speed and the data allowance. Faster plans with more data are of course going to be more expensive than slower plans with less data. Another factor to consider is the consequence of your exceeding the data limit. While limits are becoming far less common for fixed line connections, many wireless plans may include an excess usage charge, whereupon you are charged money for all data used after your initial allotment. If you don’t keep an eye on usage, the costs of this charge can rack up very quickly. According to our customer satisfaction ratings for Broadband providers, 2degress ranks the highest for value for money with 5 stars, and Orcon, Slingshot and Trustpower not far behind with 4 stars a piece. However don’t just pick one from these providers without consulting the other major providers, such as Vodafone and Spark, and some minor ones as well. Make sure you pick the deal that represents the best value for you. As already mentioned, picking such a deal comes down to being realistic about your monthly data usage! When you buy a new internet plan, one of the hurdles to look out for is installation. Depending on the plan you choose, there may be a one-off initial connection fee, an installation fee and a fee for the necessary hardware. 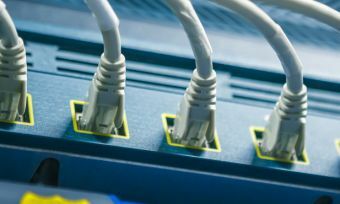 The connection fee is often unavoidable, but depending on your technical knowhow (or friends with technical knowhow) and whether or not you already own a modem, you may be able to avoid the latter charges. Installing a new broadband connection is not terribly difficult but it can be challenging if you’ve never attempted something like it before, so paying for a professional may be worth the extra cost. Additionally, you may already have your own modem. Many plans allow you to use your own, saving you some money. However, older modems may actually be slower than the maximum speed of your new connection, so an upgrade may be worthwhile. What about the contracts I need to sign? When looking for a new broadband plan, consider your needs carefully. Don’t be tempted by a flashy, high-speed, high-data-cap plan if you’re unlikely to actually use it – you’ll just be wasting your money on data and speed you don’t need. You should also carefully consider the contract length. Cheaper plans may come with extended contract lengths, with steep charges if you break the contract early. If you’re likely to move soon, it may be worth paying a bit more now for a more flexible plan. The final thing to be careful of is network security. If your modem has Wi-Fi capabilities, as most these days do, it is important to secure your network. If you don’t, you could find strangers piggybacking on your connection and using up your data. Using a standard encryption protocol, like WPA or WPA2 with a password is often all that’s needed to keep your connection secure and is relatively easy to set up. Oh no! Where’s the Wi-Fi? Who are the major broadband providers? Now that you know what you need to look for in an internet plan, it’s now time to decide which one you want! Below are the 6 major broadband providers in New Zealand. You can read our overview of broadband deals to learn more about each one. 2degrees launched in 2009, which makes it the youngest telecommunications provider on this list. While they initially did not offer nationwide coverage, 2degress now claims to offer coverage to 97.5% of the places that Kiwis live and work. 2degrees was the winner of our most recent most satisfied customer’s award for 2016, ranking 5 stars in overall satisfaction. Slingshot is the 3rd largest Telco company in New Zealand, owning approximately 10% of the residential broadband market share. They rated 5 stars for overall satisfaction in both 2014 and 2015, but have fallen back to 4 stars for 2016.